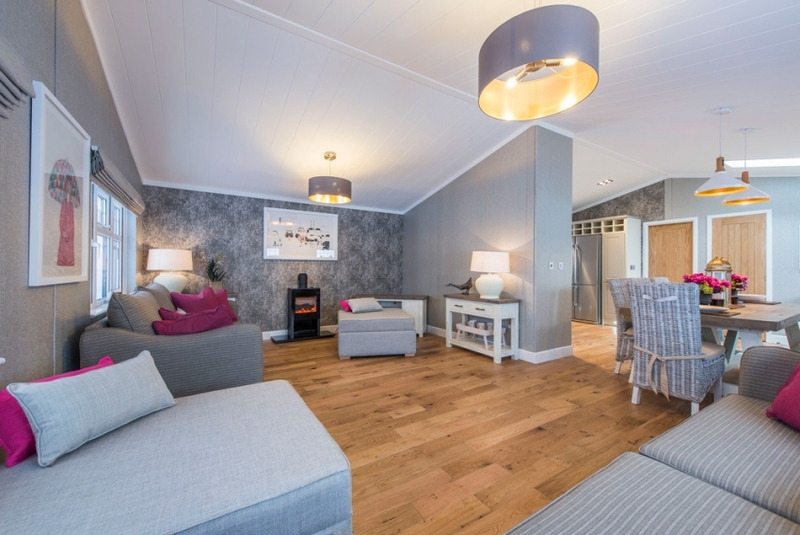 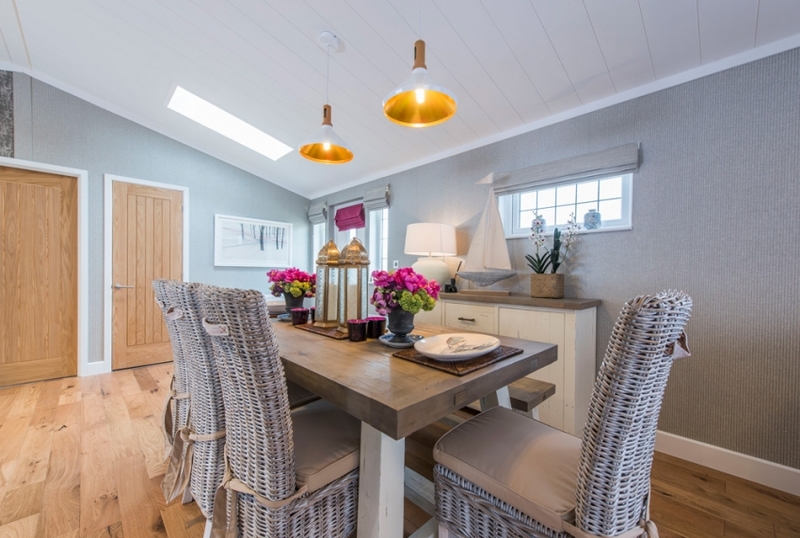 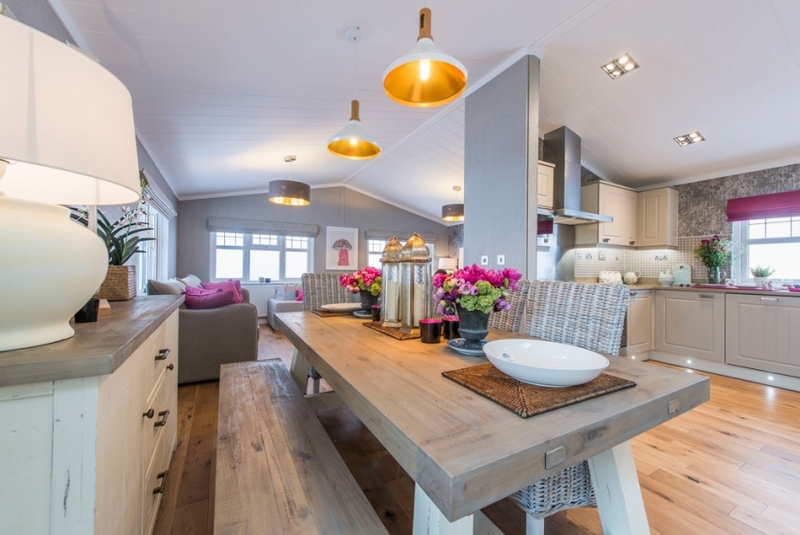 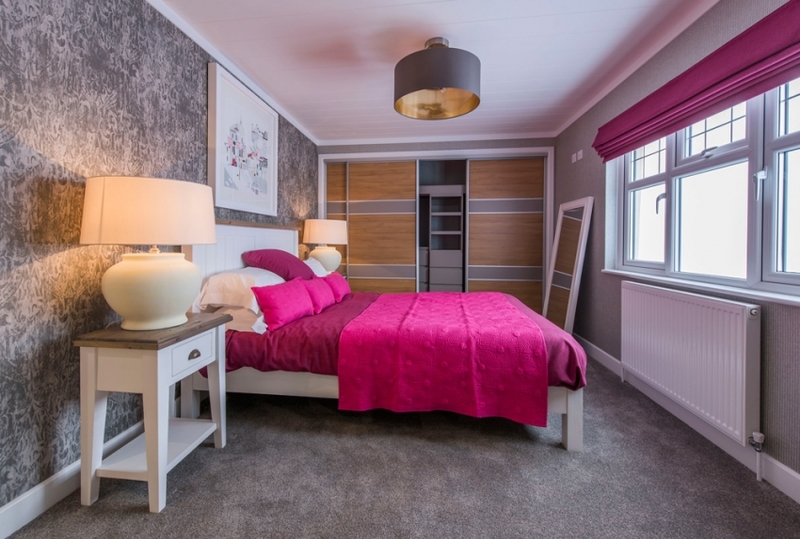 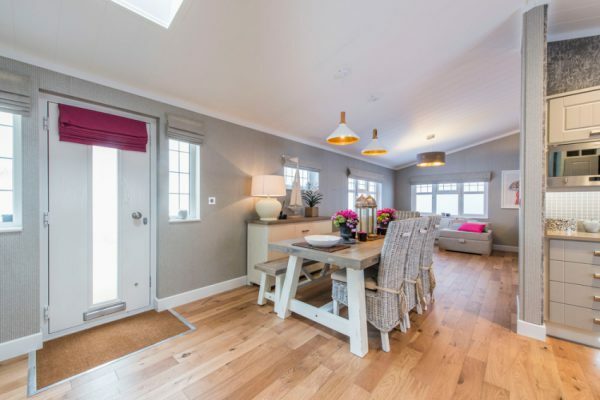 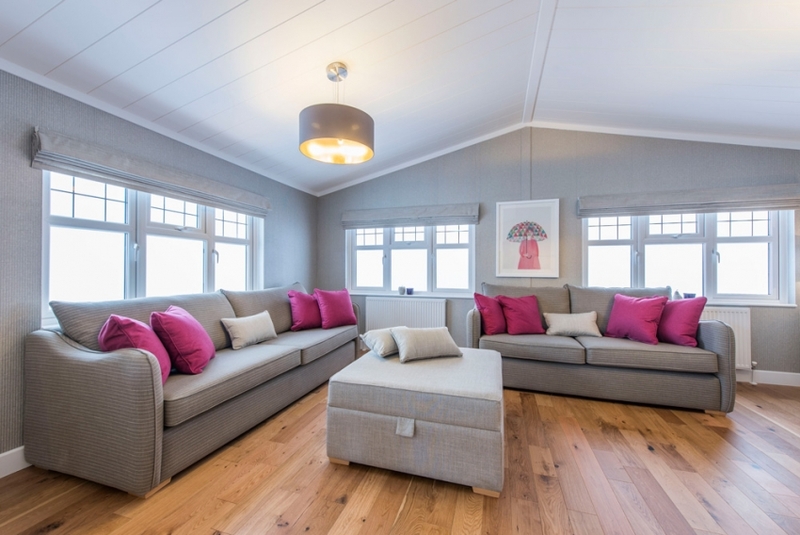 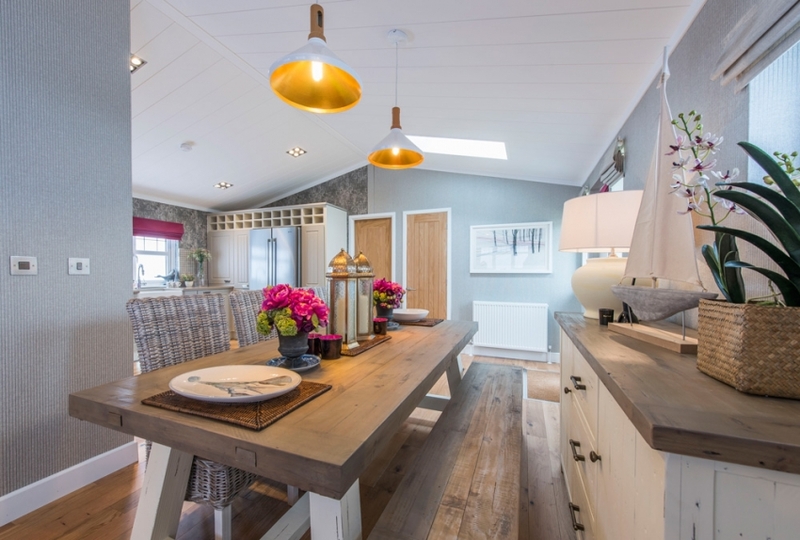 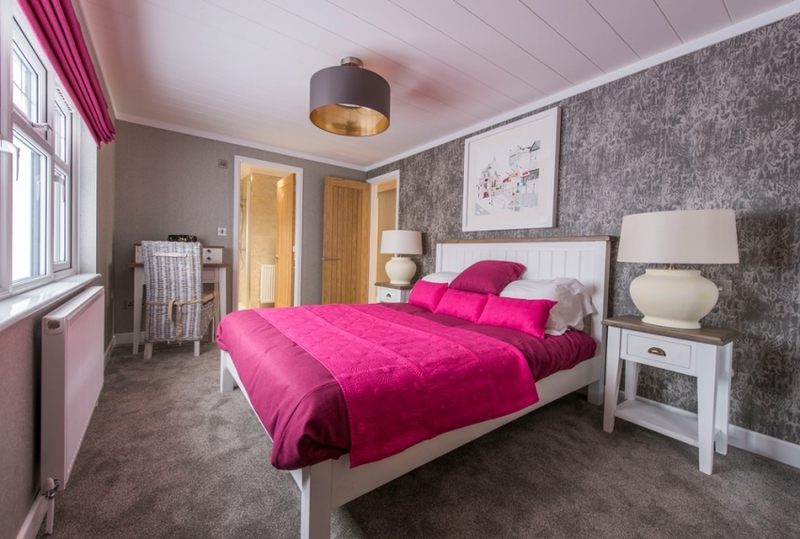 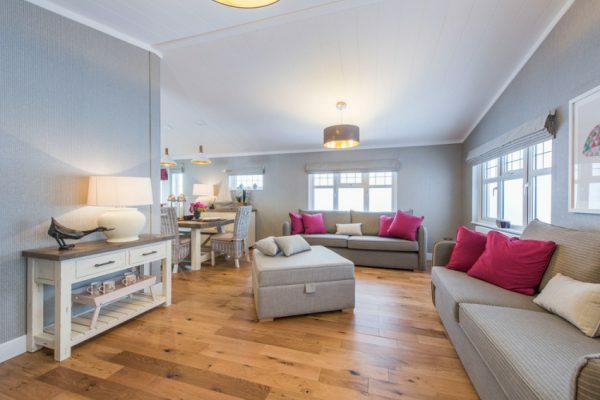 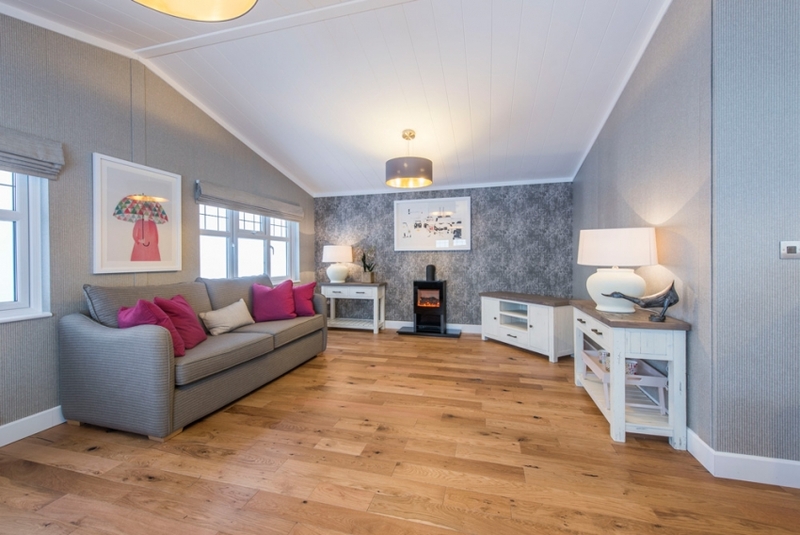 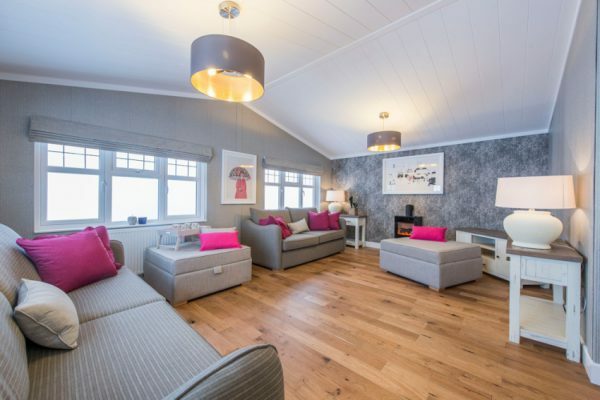 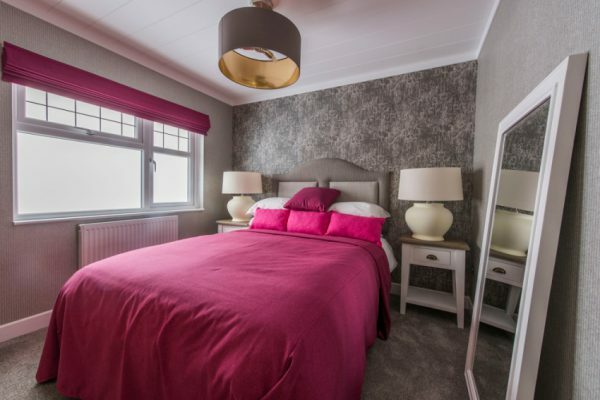 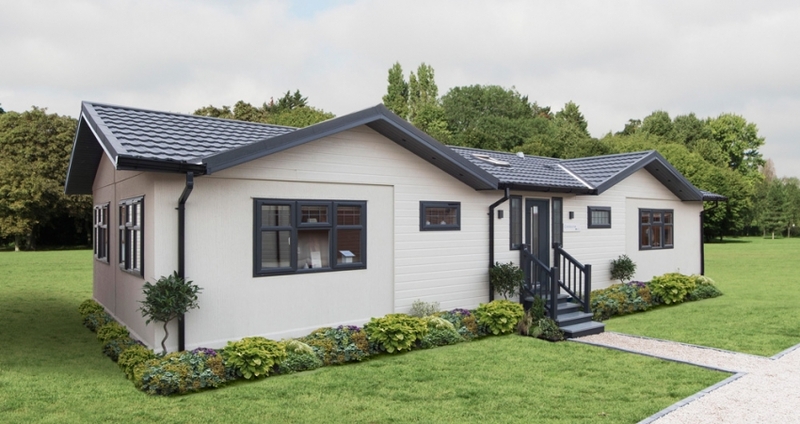 Sleek and polished with a feel of openness, the Cranborne is a park home with a strong and confident personality that emanates luxury and high style. The perfectly symmetrical facade of this park home makes a bold statement. 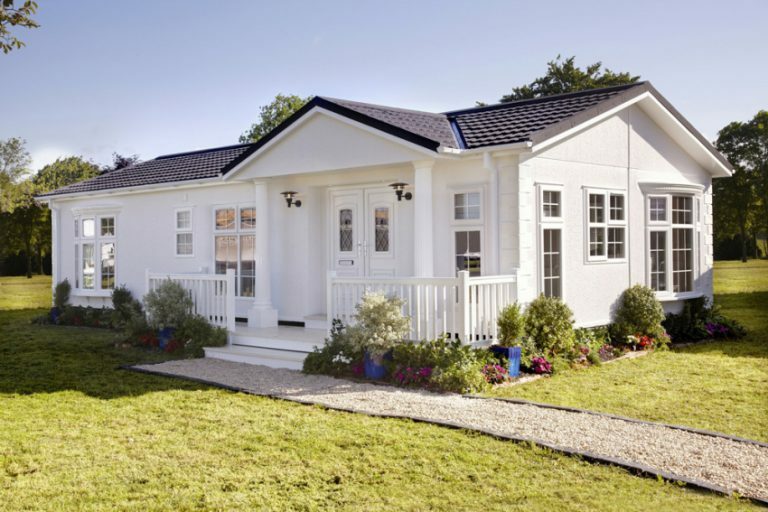 Two large roof dormers sit either side of a composite front door with square leaded glazing to either side. 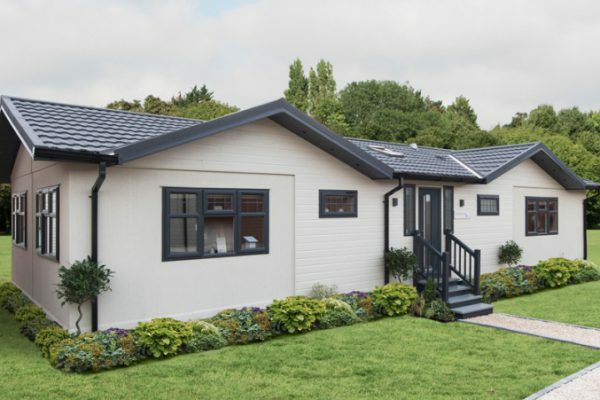 Feature Canexel cladding to the roof dormers and surrounding the main entrance is complimented by a perfectly colour matched stucco finish, and further windows with part square leaded glazing detail complete the look. 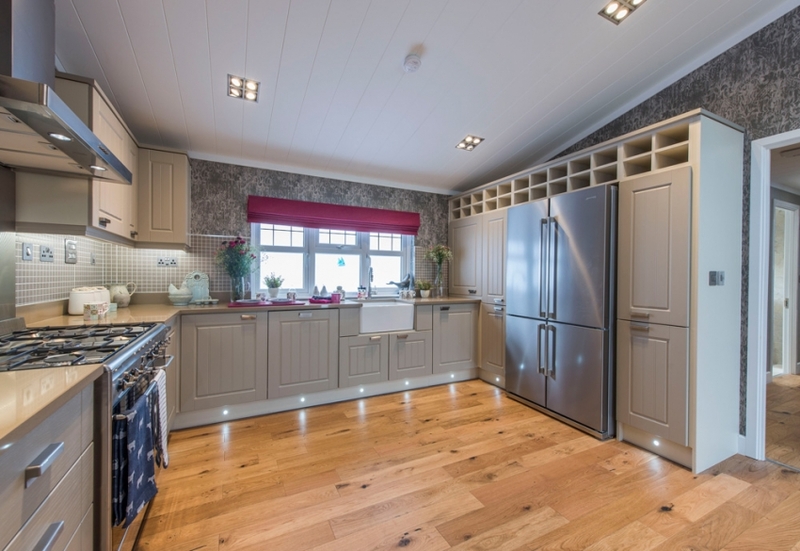 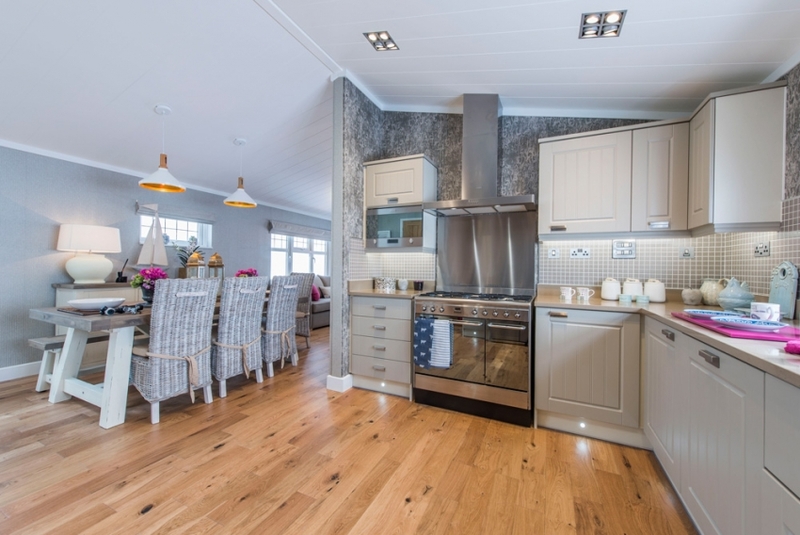 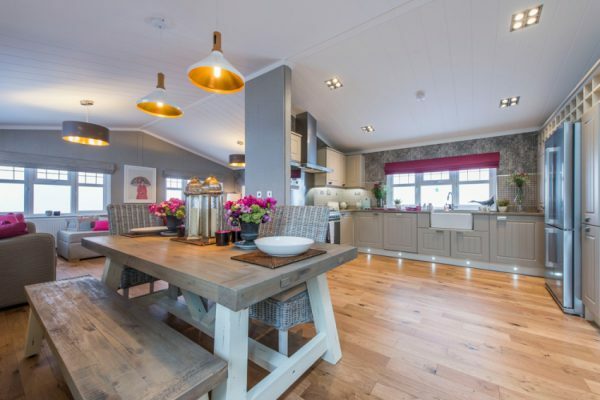 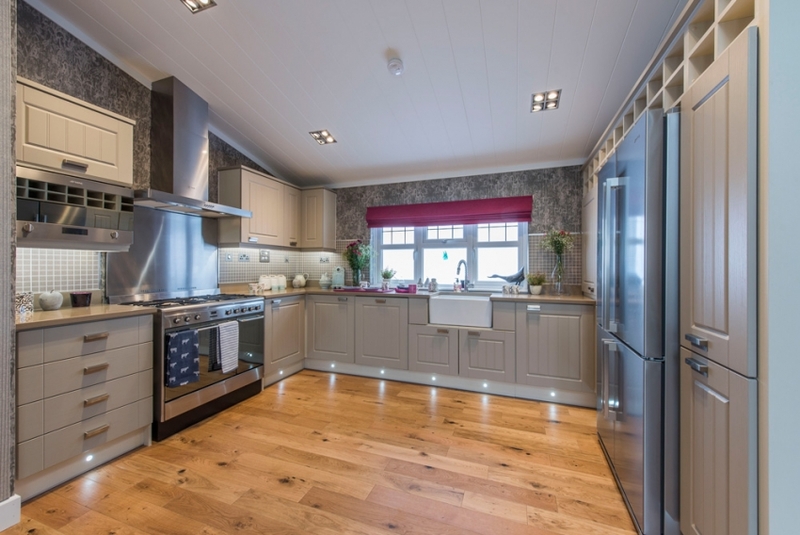 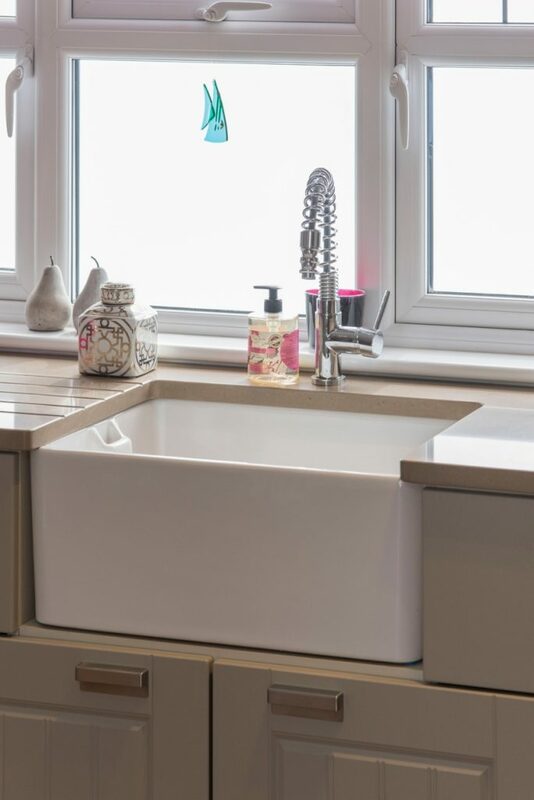 The impressive kitchen is exceptionally well kitted-out and includes a Belfast sink, Silestone work-top, plenty of storage space and luxury branded appliances including a stainless steel range cooker, microwave, dishwasher and American fridge-freezer. 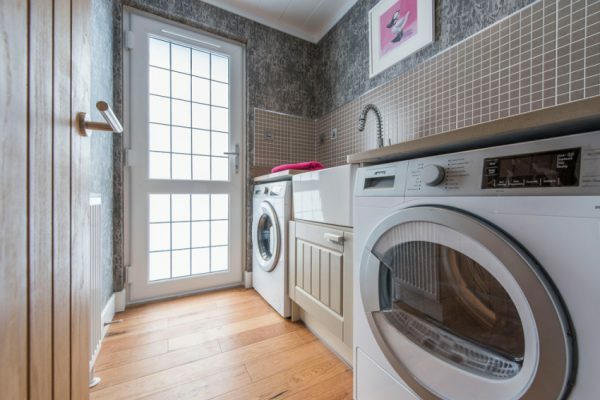 There’s also a separate utility room with a second Belfast sink, washing machine and tumble dryer. 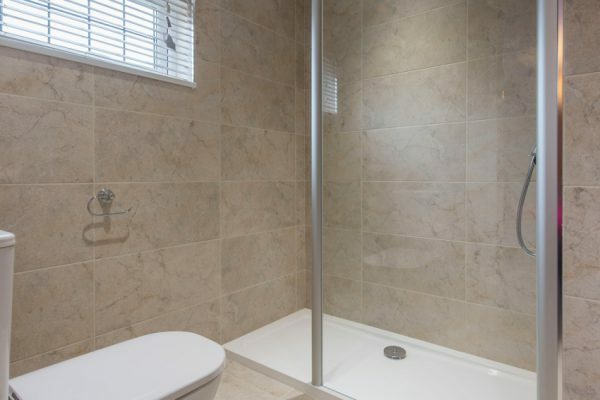 The fully tiled en-suite is reminiscent of a luxury 5 star hotel suite and includes a decadent walk-in shower with over-sized soaker. 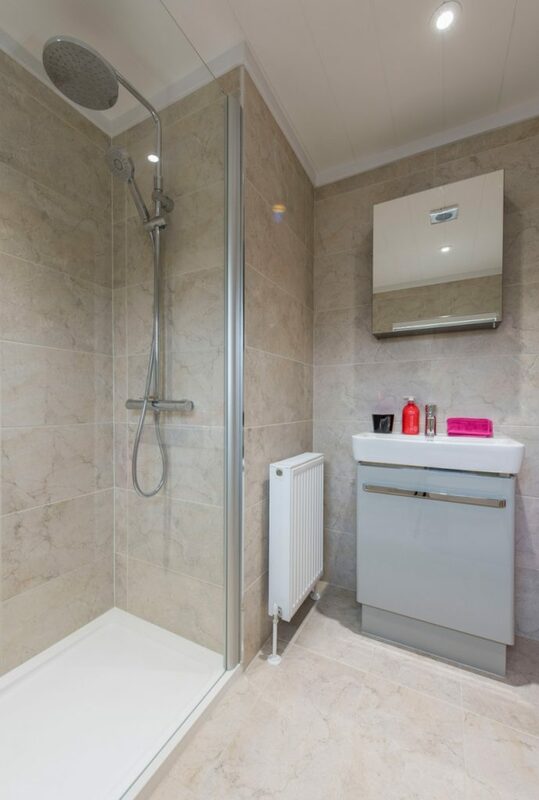 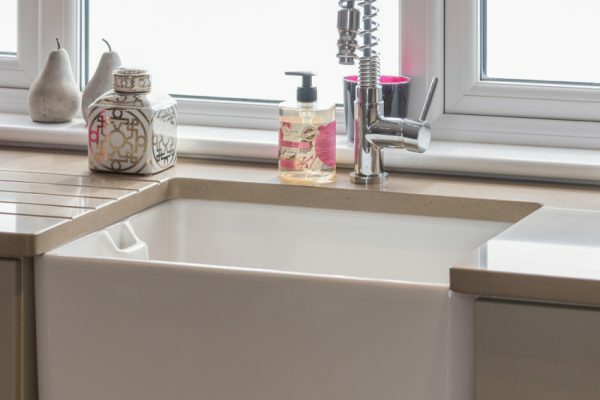 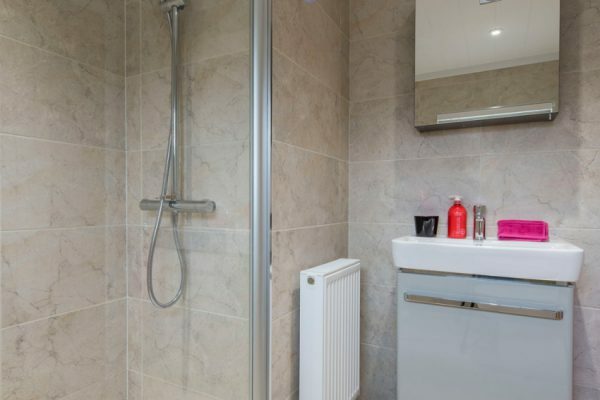 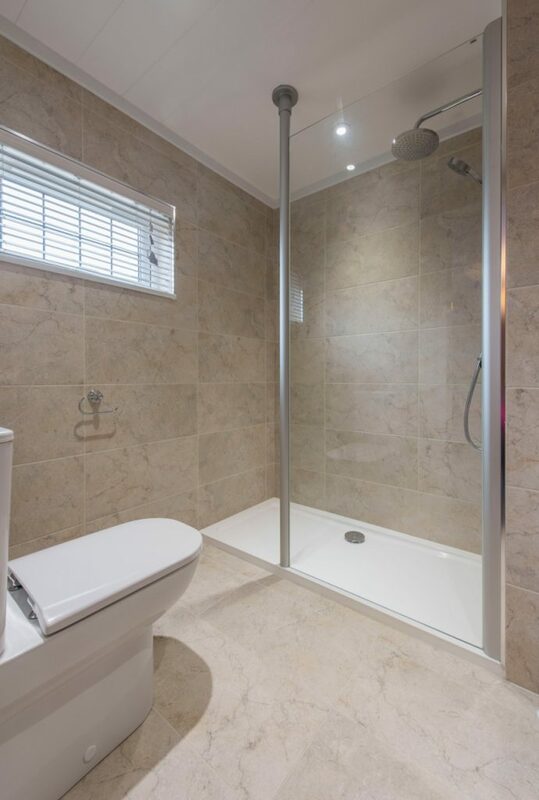 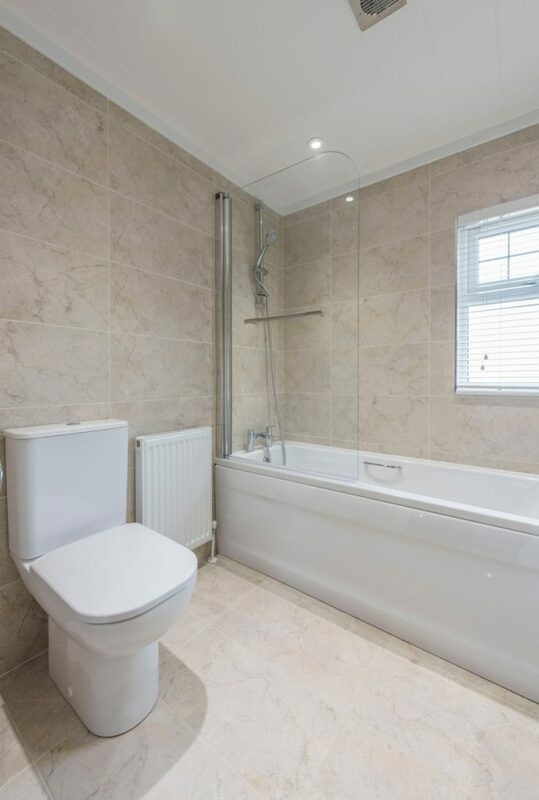 Also fully tiled, the luxurious family bathroom includes a shower over bath; a continuation of the unique styling which allows all family members to quite literally soak up the luxury!